Sometimes, I wish I didn’t own a scale, but I do. I weigh myself almost every morning out of curiosity. How did the food choices I made the day before affect my weight? Finding a healthy weight balance is a constant experiment in my life. It is not that I overweight, even when I am at the upper end of my mass like I am today. Yet still, there is a weight I feel more comfortable bearing. It makes my spirit feel lighter, my digestion more easeful, my clothes fit better, etc. Almost a year ago, I wrote a post called 7 Natural Weight Loss Supplements: Do they work? One of the supplements I tried was green coffee. Green coffee extract is exactly what it sounds like…it is made from coffee beans that have not been roasted. Although, green coffee may not melt away pounds, iIt does provide energy. I have liked this little boost to my day. It is also an antioxidant, which is suppose to slow down aging. We have been sent a different green coffee bean supplement to try than the one I used in last year’s experiment. This supplement promises four times the svetol than the leading brand! 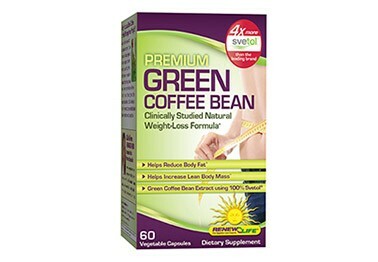 Premium Green Coffee Bean contains the clinically studied Svetol, which is a premium natural weight-loss ingredient containing 45%-50% chlorogenic acid to promote healthy weight loss and help reduce body fat without jitters.‡ Other weight loss formulas only use a small amount of the widely recommended Svetol green coffee extract. With ReNew Life’s Premium Green Coffee Bean, you can be sure you’re getting 100% premium Svetol. My BMI is not as high as those in the clinical studies, so I would not expect to see the same results. According the [amazon_link id=”B00AQQCJ66″ target=”_blank” ]Renew Life Green Coffee Bean Capsules[/amazon_link] label, participants with a BMI of 25 or higher lost 10.9 pounds in 60 days using Svetol compared to 5.4 pounds taking a placebo. In my previous experience with green coffee bean, I do not think I followed the directions fully, and I do not know the quantity of cholorogenic acid or whether it was made with Svetol. The directions for[amazon_link id=”B00AQQCJ66″ target=”_blank” ]Renew Life Green Coffee Bean Capsules[/amazon_link] state one capsule should be taken 30 minutes prior to meals two to three times a day. I will try following the directions more faithfully and update this post with results, should I notice them. With an overwhelming number of weight-loss supplements flooding the market today, it’s best to only use those supplements that have proved to be effective in a clinical setting; this way you will get the best results, while conserving money and being safe. Green Coffee Bean is one of them.